This is what it is to be a slave: that everything is decided for you from out there. You just got to listen and do as they tell you. You don't say no. You don't ask questions. You just do what they tell you. But far at the back of your head you think: Soon there must come a day when I can say for myself: This and that I shall do, this and that I shall not. In Philida, longlisted for the Man Booker Prize, André Brink—"one of South Africa's greatest novelists" (The Telegraph)—gives us his most powerful novel yet; the truly unforgettable story of a female slave, and her fierce determination to survive and to be free. It is 1832 in South Africa, the year before slavery is abolished and the slaves are emancipated. 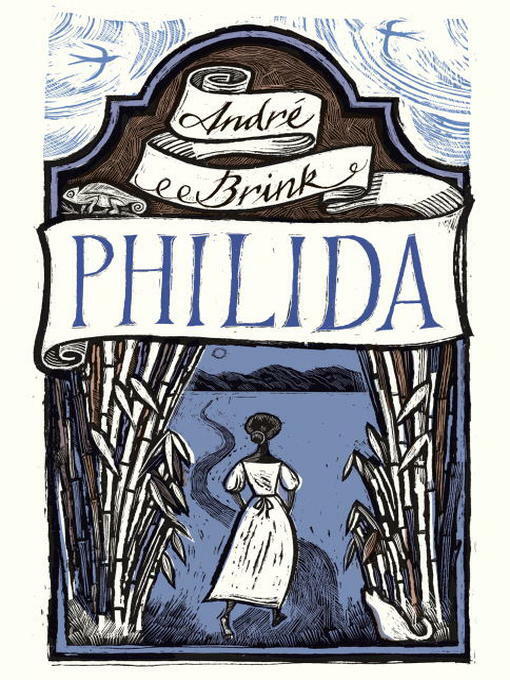 Philida is the mother of four children by Francois Brink, the son of her master. When Francois's father orders him to marry a woman from a prominent Cape Town family, Francois reneges on his promise to give Philida her freedom, threatening instead to sell her to new owners in the harsh country up north. Here is the remarkable story—based on individuals connected to the author's family—of a fiercely independent woman who will settle for nothing and for no one. Unwilling to accept the future that lies ahead of her, Philida continues to test the limits and lodges a complaint against the Brink family. Then she sets off on a journey—from the southernmost reaches of the Cape, across a great wilderness, to the far north of the country—in order to reclaim her soul.